Home » French Crossbowman of the 15th century. 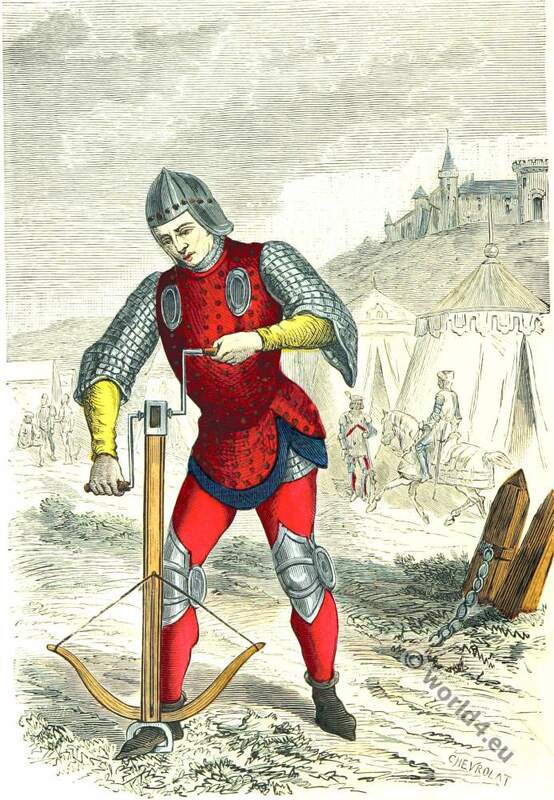 French Crossbowman of the 15th century. Arbalétrier XVe siècle. tire du Manuscript de Froissart. Arbalétrier XVe siècle. tire du Manuscript de Froissart. This entry was posted in 15th Century, France, Middle Ages, Military and tagged French military uniforms, Gothic costumes, Knighthood, Medieval costume, Paris à travers les siècles on 7/14/15 by world4.